The “Real Estate (Regulatory & Development) Act, 2016 has commenced from 01/05/2017 which require every real estate project and real estate agents to register with State RERA Authority. Noida is a very prime location in Delhi NCR and witnessed a major development in the real estate sector. 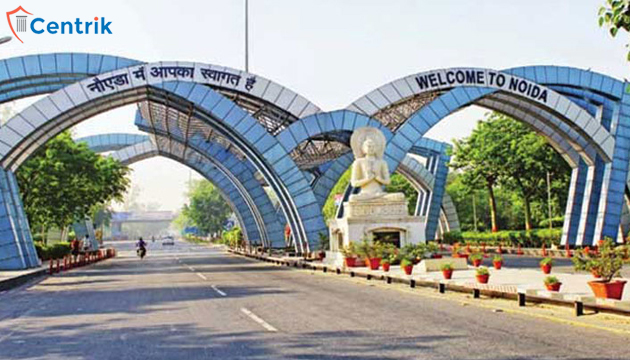 It is among the top growing city in India and State of Uttar Pradesh. There are a lot of landmarks real estate project which is either ongoing or about to start. The State of Uttar Pradesh has notified RERA Rules on 27/10/2016. However, after the appointment of new BJP Government, it has been conveyed that New government is working on some changes in the said Rules. Mr. Chetan thank you for your interest. Our RERA Team will contact you soon. Dear Sir /Madam, pls help. Yesterday I went to pay my last installment of appx Rs 4.5 lakh for my house. The project has been delayed by 3 years plus. I am nearing retirement…last posting in Delhi. The builder 3C came up with a bomb shell and indicated an increase in Super built up area by 250 sq feet, and hence an increase in all type of payments on possession. An amount equal to 14.96 lakh….to be paid before taking over possession. No prior intimation of FSI increase… Yes during dscn with rep of 3c he quoted a clause for increase in FSI by builder, in the agreement. The agreement s are always builder friendly and I have become a a victim of the same. Thereo intimation of the same in the last 7 (seven) years of any change in FSI. He has delayed the project and his enggs tell me that a delay of another 6 months likely. His move to increase FSI is to avoid his delayed project payment compensation to me. How and what all, can I seek for accountability and *reversion of forceful FSI increase* when nothing has actually increased on ground…. Pls advise. We have been cheated as at this age /stage we cannot get additional loan, nor will we be in a capacity to pay in short notice. That’s the only house for us. Regards. we understand your issue and the legal remedy would depend upon the complete fact, the clauses of builder buyer agreement and other. You can still go to Consumer Court. Further, you can also file the complaint before State RERA as per prescribed process. Please note that this is our general opinion based on your facts. You are expected to take expert opinion before taking any step. Dear Sir, our article is for general education purpose only. Your query is specific to the facts and circumstances. Please send your complete details at rera@centrik.in so that our RERA team can work on it. I booked a flat in sector 70″ Noida in year 2014 I. E. BLESSED HOME. The promoters ‘ V5 group Mr Vipul Arora ran away and taken over by new promoter Titania Group. Now these promoters are pressing for rest of amount as per their own agreement without showing legal documents from Noida development authority. Can anyone help me to say what we should do now. We had already paid 50% money in 2014. You need to take legal advice and approach to the right authority. To check the RERA registration, we need to check with the respective builder or check from State RERA portal or office. I want to be registere as a individual in RERA please tell me how it is . I am planning to buy a Flat in Greater Noida for Project “MIGSUN WYNN” by Mahalakshmi Builders. I have only UP RERA NO, and I asked them for more cancelled documents such as Sale deed, Title Search, CC etc but I was told that They cannot give Xerox/cancelled property documents. In such case I want to verify their documents from a legal Advisor about documents factuality and correctness. Please suggest Me, how to verify their documents ans shall I go a head with Builder-Buyer agreement. Centrik being a leading RERA consultant in India can help you to verify such documents but in that case, our professional charges shall apply. hi want to rera ragistration whats the process. Please tell us you want project registration or an agent registration.For any clarification, you can drop us a mail on rera@centrik.in. or call us at 9717790021. Kindly support me with suggestion. Please elucidate that on what basis they are denying your booking amount.You can write your issue in detail and send us the same at rera@centrik.in. or contact at 9717790021. I had booked a flat in Lotus Boulevard of 3C group in December 2012. In the agreement, signed with Granite Gate Properties Ltd. they assured to give delivery of flat by March 2015. But, till today there is no hope of delivery. On enquiry we came to know that the tower in which our flat is there, the work has been stopped as the labour has gone on strike, the 3C group has stopped paying wages to them. We do not know when we shall get our completed flat. How to approach and whom to approach to ensure early completion of the flat. We have paid almost 95% of the cost of the flat with all the instalments in time. Yes, as per given facts, you can approach to RERA for adjudication. I tried filing a complaint through RERA site noida. In the end it asked me to upload receipts and docs. I took photos and tried to upload but I got a message that it should be in PDF format. I tried calling the numbers given but all were non-existant. The site is defective.